Take a look at this year's line up! Kay Kuenker will be presenting Part 2 of Transitioning to the Front Lines of Leadership. CHS is hosting this year's Industry Tour Beans, Barges and Baseball. Opening night features the Women in Protein Dinner sponsored by ING. WIA Members don't forget the WIA Members Only Night Out. 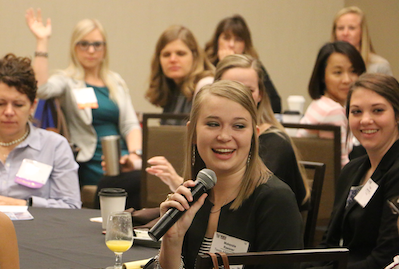 Students and young professionals are invited to the Student Breakfast Workshop. Early risers can enjoy Yoga on Thursday and Friday morning. Join us for a tour and tasting at Urban Growler Brewing, the first woman-owned microbrewery in Minnesota. You must be a WIA Member and register for the activity. Kay Kuenker, Business Management Consultant and Executive Coach will be presenting the Part 2 of Transitioning to the Front Lines of Leadership. Improve your leadership skills! If you are relatively new to a leadership role, or just want to be ready for when you get that next big assignment, you’ll find value in this workshop that will enhance your effectiveness. This interactive workshop forum will include minimal lecture, lots of participant discussions and experiential learning exercises. Registration fee: $275. Seating is limited. Tour showcases CHS grain and fertilizer terminals linking a vast ag supply chain within a stone’s throw of the beautiful CHS Field, home of the St. Paul Saints baseball team. You’ll get boots and bats on the ground behind-the-scenes tours at each stop, including the backstory on how the Saints developed their “Fun is Good” brand, which includes free haircuts in the stands, a nun giving massages, and the ever popular, “name the ball pig” contest. Think Mackleboar, Kim Lardashian, Piggy Smalls, and Boarack Obama. 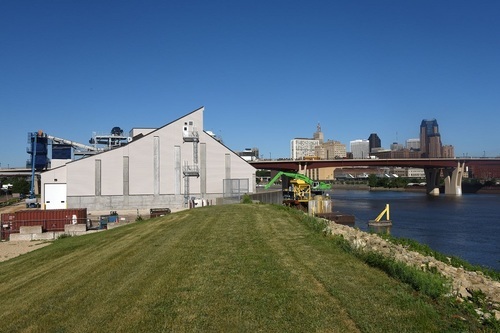 Learn how grain goes south, fertilizer moves north, and how the hometown team hustles their way to brand loyalty and championship seasons in the newly invigorated St. Paul Lowertown district near the Mississippi River. This tour has it all: Supply chain logistics, branding, event and sports management, community engagement and historic preservation all in one jam-packed, fun-filled morning. Dress for the weather, including sturdy shoes (no open toes) for walking. Additional registration required. Limited seating available. 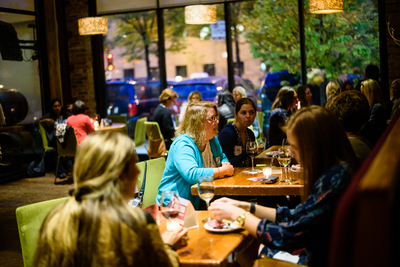 A fun, networking dinner for women leaders in protein (beef, dairy, pork, poultry and fish) attending the Women in Agribusiness Summit. Limited seating. Additional registration required. Registration Fee: $99. Seating Limited. In this digitized age, important interpersonal skills such as communication, teamwork, and active listening are being left by the wayside in favor of technical skills. While these specialized skills gained from your education and training will get you the interview, the aforementioned people skills are more imperative to acquire and retain a job. This session will explore learning and practice the critical skills needed to handle important conversations, respond in emotional or difficult situations, and build a successful career. Join us for a relaxing hour of yoga each morning before sessions begin. All skill levels are welcome! Mats and towels will be provided.